Having trouble making your hair color last? Well you’re in luck, because I’ve discovered the best tips to prolong your hair color! I have 3 tips for anyone who colors their hair, especially reds and brunettes! In my experience, blonde coloring is a bit easier to maintain, but this routine applies to all hair colors. Pick the Right Salon – I’ve gone to plenty of salons, and Aveda salons have been my favorite BY FAR! I prefer to color my hair less often and splurge on going to the salon. I liked to get my hair color personally mixed so that I know it will be just right. Unfortunately, I don’t have any experience with coloring my own hair. I’ve had hair colors across the whole spectrum: blonde, brunette, red, and purple! Locate a salon in your area that uses Aveda hair color as its the most natural and long lasting in my opinion. I go to The Establishment in Silverlake, CA. Maintain Your Hair Color – You must also invest in a color safe shampoo and conditioner. 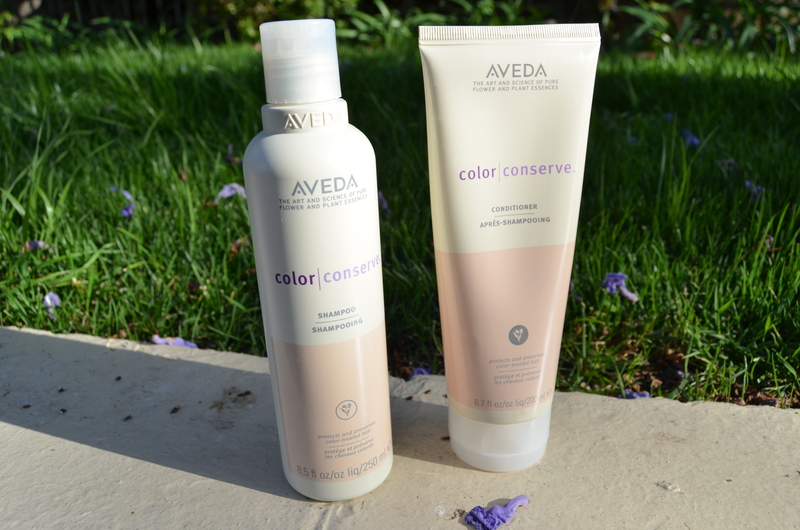 Again, I’ve used plenty of these in my hair coloring years, but the best has been the Aveda Color Conserve line. I wash my hair 1-2 time per week at most, and only rinse it in cold(ish) water. If I get my hair wet in between shampoos, I always make sure to put some conditioner in it. I also try to only use a small amount of shampoo. Protect Your Hair Color – Lastly, you have to take some additional steps to prolong and protect your hair color! I like to use a color safe leave in conditioning treatment. I’ve been loving the Aveda Daily Color Protect. I actually think several leave in conditioners do the trick (not just this one!). This one is great, because you can use it daily and a little bit goes such a long way. You also have to protect your hair against from fading in the sun. 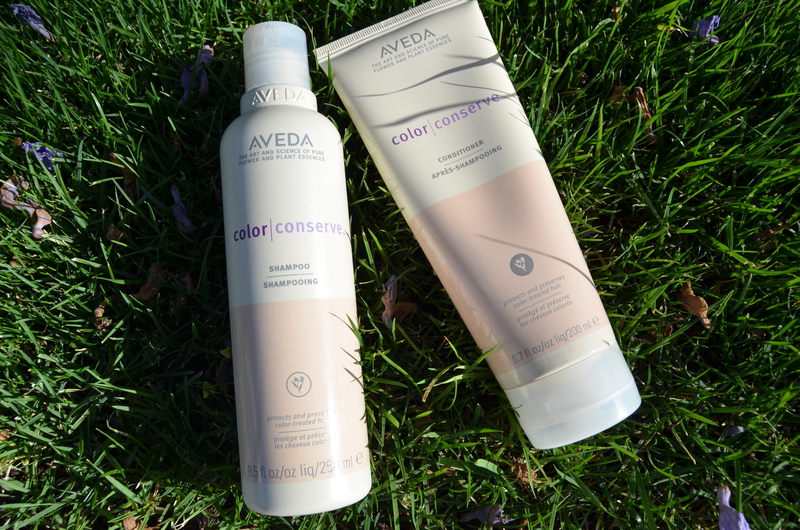 A UV protectant is key to any hair color routine. 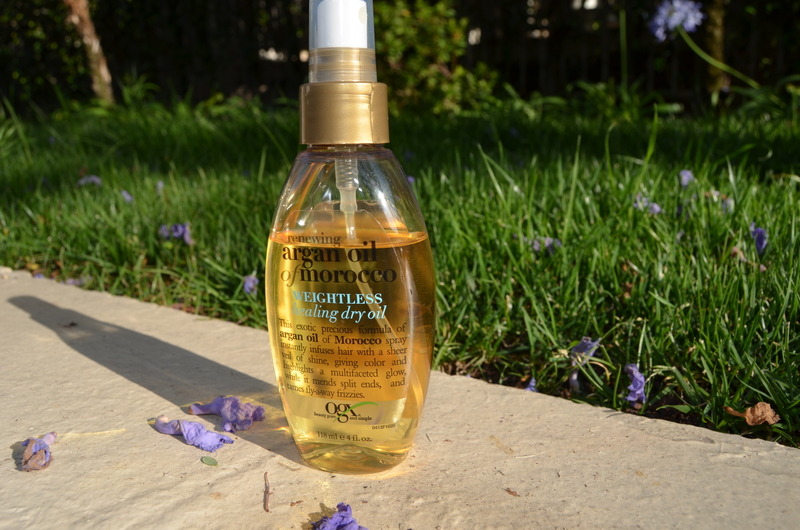 Some of my past favorites have been discontinued, but this one from OGX has been great (Argan Oil Weightless Healing Dry Oil). It’s not branded as UV protectant, but does help with color fading. I guess the smell isn’t for everyone! That’s why everyone’s unique! 🙂 Glad you enjoy going to an Aveda salon though.